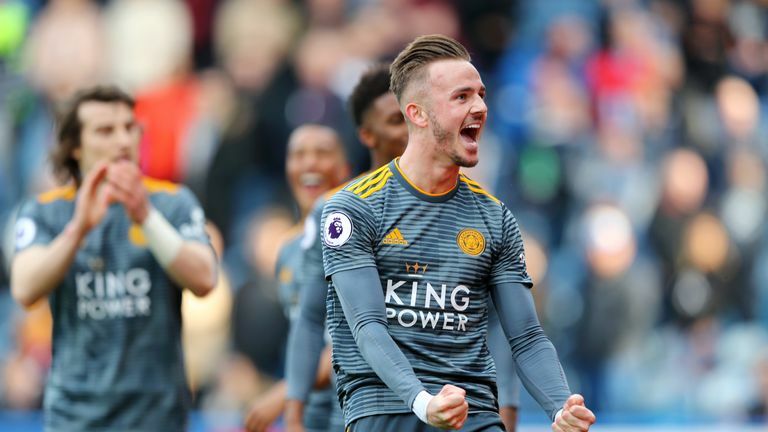 James Maddison has relished raising the level of his game to compete in his debut Premier League season. Leicester splashed out £22m to sign the midfielder from Norwich last summer, and the 22-year-old has seamlessly adapted to top-flight football. Maddison has scored seven goals for the Foxes this season and created 93 goalscoring chances - more than any other player in the top five European leagues, including Lionel Messi and Eden Hazard. 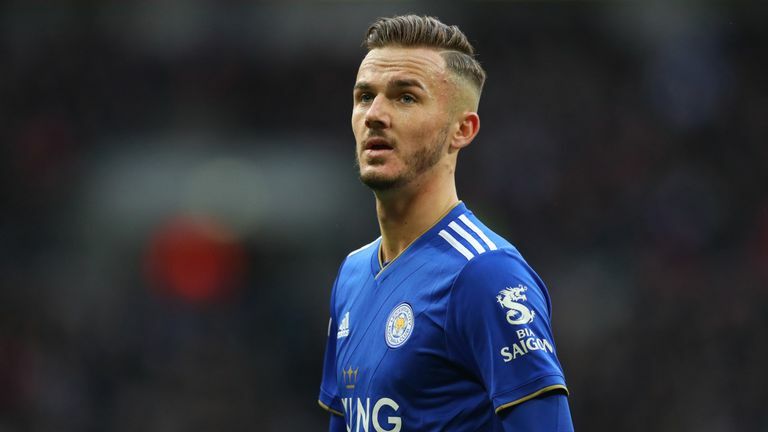 Does James Maddison deserve an England call-up after shining for Leicester? "The step up has been brilliant," he told Soccer AM. "You never know what to expect because I'd never played in the Premier League before. "I'd always watched it but only played in the League One, the Championship and in Scotland. The Premier League is the best league and I've enjoyed every second of it. "It's a big step up in quality, pace, power, that's the main difference. There is never an easy game, the quality throughout the league is brilliant." Maddison has been able to maintain his impressive campaign through periods of instability at the King Power Stadium. Brendan Rodgers replaced Claude Puel as manager in February, and the Foxes have won four of their six matches under the Northern Irishman. Maddison has a debt of gratitude to Puel for handing him his Premier League opportunity but has revealed standards have increased since Rodgers' appointment. "There's been a big uplift," the England U21 international added. "I've got a lot of respect for Claude Puel, he brought me to the club and gave me my first opportunity in the Premier League. "But there's been an uplift in intensity, standards have come up higher and the quality in training has developed. There's a really good-feel factor around the place."